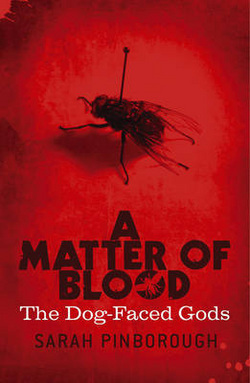 First edition, first impression - signed, lined with a quote and dated by the author to the title page. Also signed by the cover artist Ed Bettison to the back jacket flap. Synopsis : The recession has left the world exhausted. Crime is rising; financial institutions across the world have collapsed, and most governments are now in debt to The Bank, a company created by the world's wealthiest men. But Detective Inspector Cass Jones has enough on his plate without worrying about the world at large. His marriage is crumbling, he's haunted by the deeds of his past, and he's got the high-profile shooting of two schoolboys to solve - not to mention tracking down a serial killer who calls himself the Man of Flies. Then Cass Jones' personal world is thrown into disarray when his brother shoots his own wife and child before committing suicide - leaving Cass implicated in their deaths. And when he starts seeing silent visions of his dead brother, it's time for the suspended DI to go on the hunt himself - only to discover that all three cases are linked . . . As Jones is forced to examine his own family history, three questions keep reappearing: what disturbed his brother so badly in his final few weeks? Who are the shadowy people behind The Bank? And, most importantly, what do they want with DI Cass Jones?